An agent who really knows your hood–and a few others as well– might just have your dream apartment already in inventory. 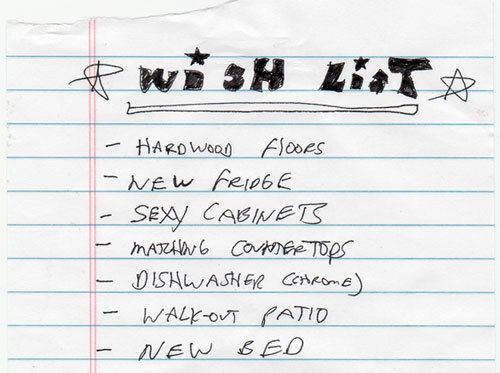 Give him or her an email address to send you listings that match your wish list. A good real estate agent can partner with you to look at all angles of where you want to go with your real estate and can also talk to you about market timing, mortgages and even the occasional steal. The recent market corrections may have put a lot of previously untouchable properties into your league. And, since we already know you have a renovation plan, you might want to also ask if there’s a property out there that would require renovation, but put you into a much more desirable situation. After all, you’ve already established that renovation budget, but what you may not have thought about is what that same budget, or one substantially lower, could do to put you into the home of your dreams right now.